A Geek Button for every situation! In this bundle, you can find 42 different nerdy designs. By pure chance, our first line of Geek Buttons consists of exactly 42 different designs. These small metal pins can be fastened to your clothes for an additional dose of nerdiness in your daily life. To cater to (almost) everyone's needs, we've decided to include some of the most iconic images from movies, TV series, the natural sciences and video games. 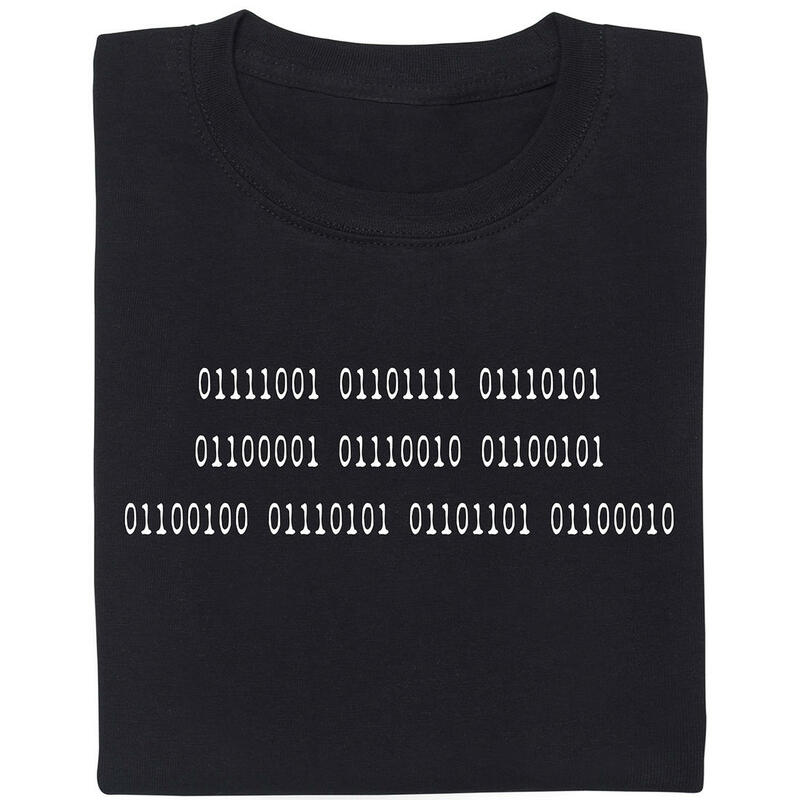 This way, you can look cool in every situation and proudly proclaim: Damn, it feels good to be a nerd! Since it can be quite hard to decide which of the 42 designs is best (and, as we all know, 42 is the answer to everything), the 42 Geek Buttons Bundle includes - you've guessed it - all 42 available designs. Now you finally have enough accessories and witty answers to match every outfit and every situation. You could also surprise your co-workers with a busload of the pins, bring them to a party (the Geek Buttons, not your co-workers, of course) or craft your own biker-style geek cut. The possibilities are endless. And remember: a Geek Button a day keeps the boredom away! Please note that 3 of the Geek Buttons are in German. But you know what they say: it's never too late to learn a new language (or use Google Translate). 7.75 £ lade... Geek Button Bundle Of 10 Get ready to be surprised! This bundle contains 10 randomly selected Geek Pins you can use to decorate your clothes, bags and many other things. 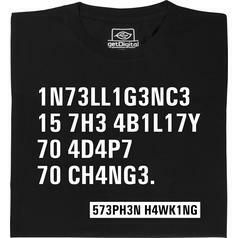 from 16.95 £ lade... Fair Geek Wear Intelligence - Stephen Hawking Quote T-Shirt D0n'7 wr173 y0ur53lf 0ff, l34rn l3375p34k! 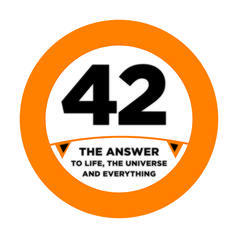 from 1.25 £ lade... Geek Sticker 42 The perfect sticker for all your questions. 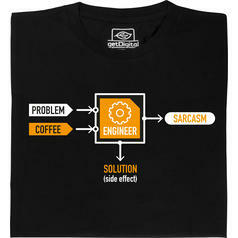 from 18.95 £ lade... Fair Geek Wear Engineer - Problem - Sarcasm T-Shirt A t-shirt that reveals what engineers really want! 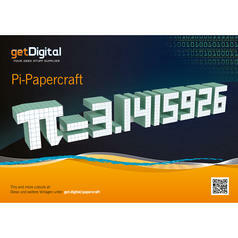 3.45 £ lade... Pi Papercraft Pi-Percraft Craft you very own number Pi! Okay, maybe not the entire number. But the first 8 digits. 5.15 £ lade... Geek Buttons Natural Science Theme Caffeine, dopamine, serotonin and adrenaline? Yes, please. Oh, and an atom is included as well? Sweet! 5.15 £ lade... Geek Buttons Gaming Theme On your controllers, set, go! These 5 buttons will fill gamers' hearts with joy. 5.15 £ lade... Geek Buttons Films And Series Theme TV amd movie buffs rejoice! This set contains five pins depicting images from popular movies and TV series. from 1.25 £ lade... Geek Button The Emperor Protects The foolish man puts his trust in luck, the wise man puts his trust in the Emperor!